Sinead O'Connor and her family can breathe a sigh of relief this morning. 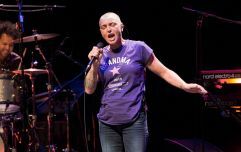 Sinead's teenage son, Shane O'Connor, went missing on Friday, but has been found alive and well. Gardai asked the public for help in tracking down the 14-year-old, while Sinead took to Twitter also seeking assistance from fans. "My sweet 14 yr old son has been missing for the last two days." "Please call Dundrum Gardai. Not calling them is not helping him." "This is my 14 yr old son. Missing since Friday." "Last seen in Wicklow town at 7.42 pm tonight. If you see him or he is at your home please contact Dundrum or Wicklow Gardai." "Gardaí are seeking the public’s assistance in tracing 14-year-old Shane O'Connor, who is missing from his home in Ballinteer." "Shane was last seen on Friday, January 18, at approximately 5.15pm in Woodpark, Ballinteer." "Shane is described as being 5'11' of slim build with dark hair. When last seen he was wearing a black hoodie, black Adidas bottoms with white stripes and white runners. Shane is known to frequent the Wicklow area." "Anyone who has seen Shane or who can assist in locating him is asked to contact Dundrum Garda Station on 01-6665600, the Garda Confidential Line on 1800 666 111 or any Garda station." Sinead took to Twitter yesterday to inform her fans that her son had been located, safe and well.